Spring, the season in which plants and flowers begin to bloom. Everything outside gets colour again. An excellent moment to bring the outside in and colour your interior. 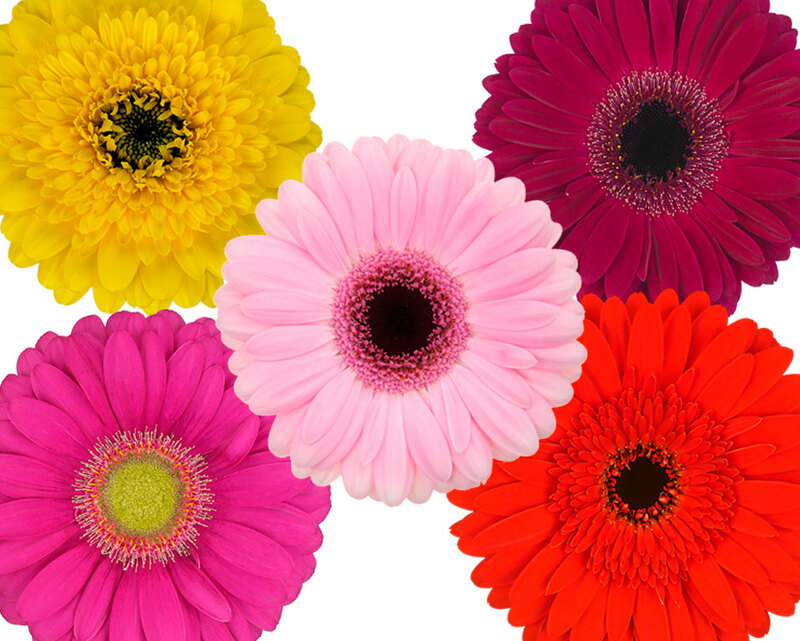 With its many colours and varieties the gerbera is a true colour experience in every room and on every location. It brightens up everything and everyone and seems to fit in everywhere. In our new inspiration magazine we combine the latest trends with an amazing location. This spring is about fresh yellow and natural green shades. But also warm combinations like pink/orange and red/purple. And about contrasts; a modern assortment at a classic location. Together with eight Dutch and two Swiss floral arrangers we hope to inspire you this season with our wide range of gerberas. Check it out in our new magazine! Impressed by the great pictures you've admired in our magazine? Then we've got news for you. You can download all the images in our inspiration magazine at Trends & Inspiration on our website in low- and high resolution. Ideal to use in your flower shop, printed matters or online. Join Coloured by Gerbera and get free access to more than 1.000 high resolution gerbera images. Are you working in the floral business and want to stay updated about the wonderful world of gerberas? Follow us on social media and register as a member.